The Walker Law Firm, A Professional Corporation, is a small AV-rated law firm provding effective representation of clients in matters involving probate, trusts and estate planning, trust litigation, financial elder abuse, trademarks, intellectual property, civil litigation, real estate, commercial evictions, business and commercial law, and civil appeals. The firm offers sophisticated and personalized services to individuals, business owners and employers, small businesses, corporations, and partnerships throughout Orange County and Riverside County, California. 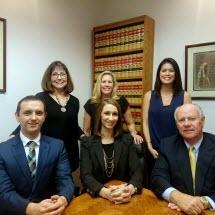 We offer FREE INITIAL CONSULTATIONS. M-F 8:30 a.m. - 5:30 a.m.